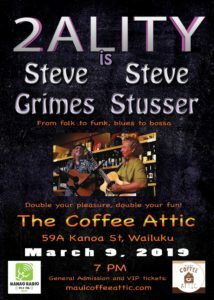 Steve and Steve will be playing lots of originals, and some of their favorite covers, and always have a ton of fun. Special guests sitting in will include Dave Fraser, Kerry Sofaly, Dorothy Betz, Andrew Fowler (Tower Of Power), and more. A portion of the proceeds will be donated to Mana’o Radio! 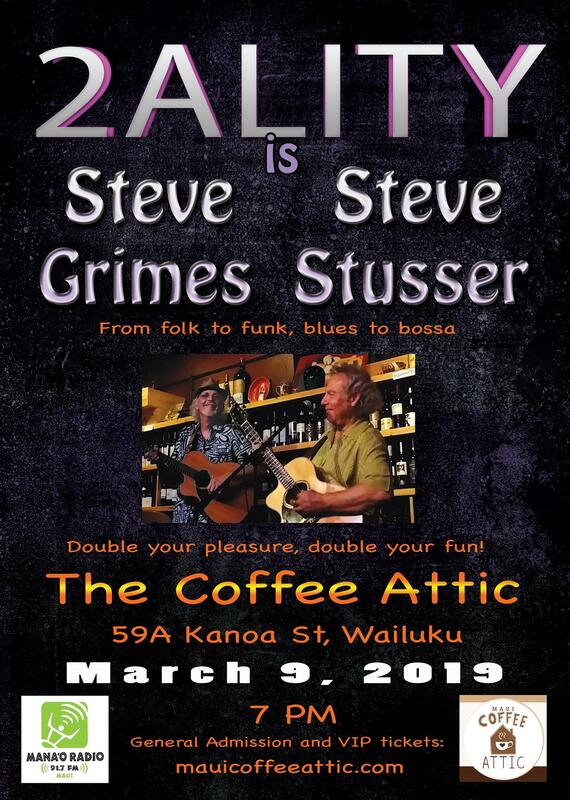 Tickets now available at the Maui Coffee Attic or online or call 808-250-9555.